Manchester United have been linked with a move for Lazio midfielder Sergej Milinkovic-Savic since quite some time, including the summer of 2018. But now, the Serbian has gone on to pour cold waters to any prospect of moving away, after having signed a new long-term contract with Italian club Lazio, until the year 2023. Savic, who has been impressing as a midfielder and attracting tremendous interest in recent times, is highly rated as a player. Reports had stated that besides United, several other Premier League clubs, including Manchester City, Liverpool, and Tottenham Hotspur, were said to be monitoring his progress. The Italian club, having always been keen to hold onto the star player, has finally got him to sign a new long-term deal. 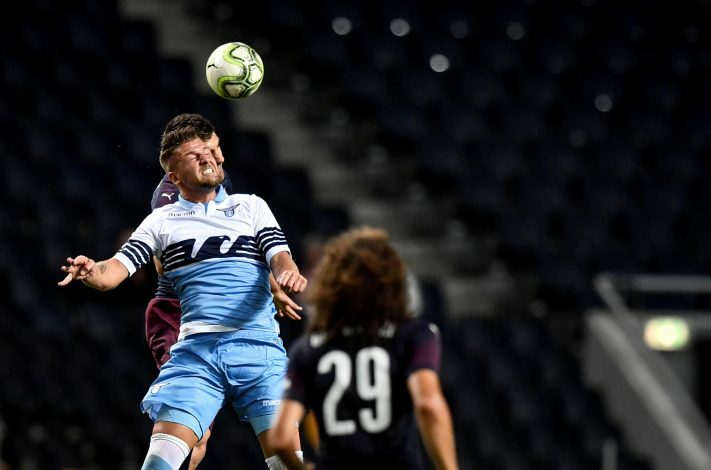 Milinkovic-Savic’s form and performances have been rewarded with significantly increased terms and leverages. He has played 128 times for Lazio, scoring 26 times in the process. Besides tying the Serb, striker Ciro Immobile, who scored 29 league goals last season, has also signed a new deal during this crucial phase for the club, wherein they seek a top 4 finish. The Italian club is currently 7th in the Serie A. The weekend saw them losing against city rivals Roma on the weekend by a 1-3 margin.